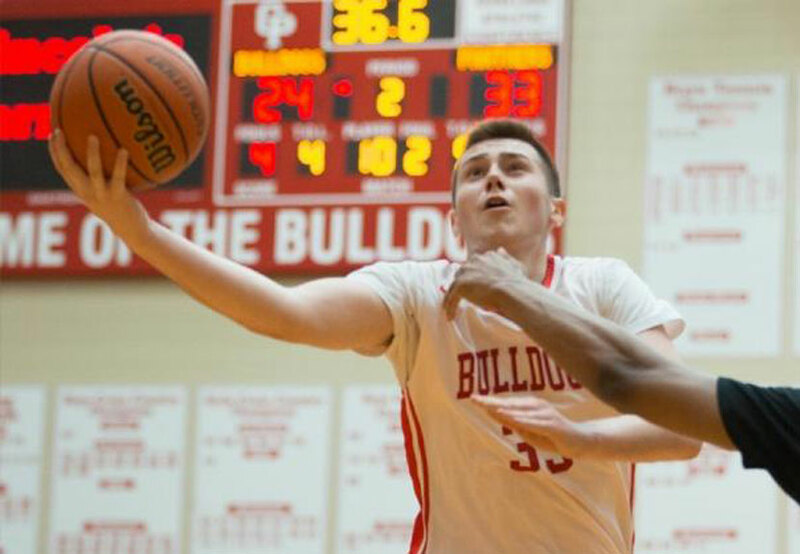 Sasha Stefanovic continues to proudly wear number 33 for Crown Point High School as he celebrates his signing to play basketball with the Purdue University Boilermakers in the next school year, but he needs your help and your vote now as he competes in the “February Athlete of the month” in the Post-Tribune online poll. Simply click the link below to place your vote online on the Post-Tribune website. Voting is open through February 9. You may vote once every 12 hours. With your help last year he was named the April 2016 winner of the Post-Tribune’s Community Choice Athlete of the Month and was named the Post Tribune’s Community Choice Athlete of the Year 2016 – your vote can count! The 6-foot-5 scoring guard, who was averaging 19.7 points and 6.2 rebounds a game heading into the Portage game, had 24 offers on the table when he chose to become a Boilermaker. 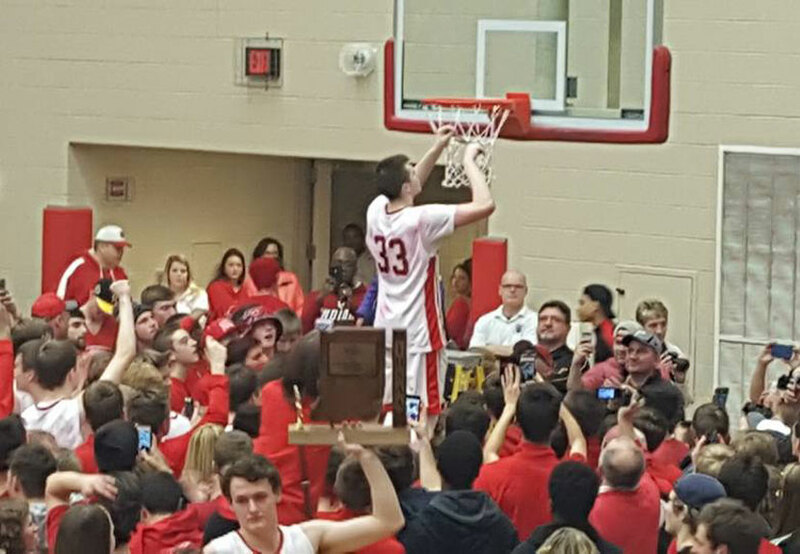 Stefanovic becomes the third player from Crown Point to commit to a Big Ten school for Swan in the last five years. Grant Gelon (Indiana) and Spike Albrecht (Michigan Purdue) are the other two. Stefanovic is a 6’5” 184 pound shooting guard from Crown Point Indiana. He is rated as a 3-star prospect on Rivals, but he is basically the sniper that Matt Painter has coveted for ever class these past few recruiting cycles. Adam Tatalovich, a 1996 Hobart High School grad with deep family roots in the Serbian community in Northwest Indiana, was recently featured in a Times newspaper article discussing his career path as he navigates life in the NBA working as a pro personnel scout for the Sacramento Kings. While the news article focused on Tatalovich’s professional development, he is still managing to maintain connections with his faith and Serbian culture that grew from his earliest experiences with Serbian churches in Northwest Indiana. 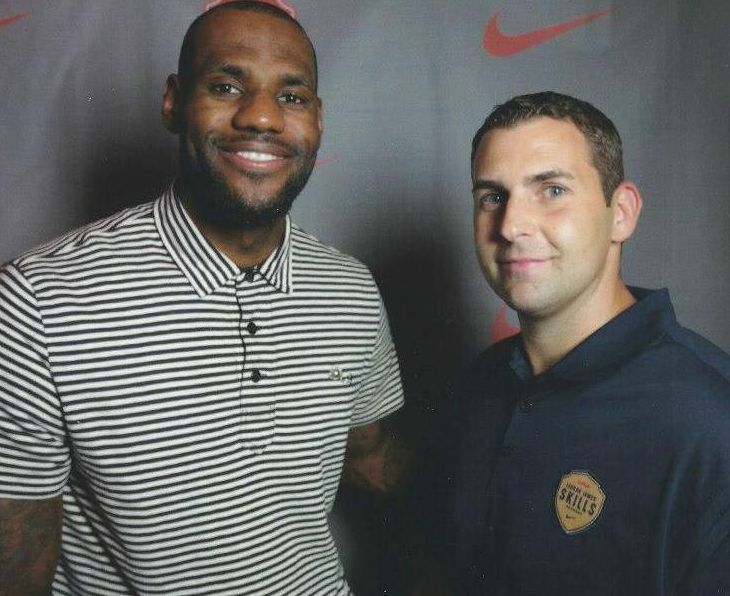 He continues in his faith and is building new connections in the Serbian community during his travels crisscrossing the country as he scouts NBA talent covering up to 20 professional basketball games per month. Q: What are some of your connections with Serbian culture and Churches growing up in Northwest Indiana? A: I was baptized at St. George Serbian Orthodox Church in East Chicago, Indiana and went frequently there with my Baba during my toddler days because my entire family was from “the Harbor” area. After I started grade school, my family moved to Hobart where we were members and attended St. Sava Serbian Orthodox Church for the duration of my childhood growing up until college. We actually lived a half mile from the old church and hall when it was on 49th Avenue in Hobart. Q: Describe some of your connection with St. Sava Church in Merrillville. A: I had a great connection with St. Sava growing up, attending Sunday School every Sunday with Divine Liturgy. I was very passionate being an altar boy…I probably preferred serving in the altar over being in Sunday School…it was fun assisting Father John…I could cut a mean loaf of bread…and as all altar boys do…sneaking some handfuls of bread now and then. I was also a member of the Kolo dancing Folklore group for a large duration of my youth until my middle school years. Q: What are some of the other church connections and memories you had growing up? A: I remember wanting to be a priest when I was around 5-6 years old. I would be at my Baba’s house in East Chicago and would use her living room as the church and the closet as the altar…I had the double doors, robe, candles (no flames of course), cross, and something resembling a censor. The priest at East Chicago at the time would give me tiny pierces of incense that I treasured. Q: What are your connections with the church today? A: With my career I have been moving around a lot, but when I am in the Northwest Indiana area I find myself returning to my earliest roots visiting St. George in East Chicago most often where I have found connection with Father Alex. I still try to get to St. Sava in Merrillville when I can and believe it’s the most beautiful church in North America. I definitely try to get back for a Serb Fest (www.serbfest.org) when I can each year in the summer. Q: With your travels taking you around the country and around the world in your professional basketball career, do you find time with such a busy schedule to find connection in the Serbian communities and churches you visit? A: On a recent work trip in early Jan. 2017 while I was scouting in New York I had the opportunity to connect with Bishop Irinej who I met while I was working with a professional basketball team in Australia a few years back. He invited me to a dinner with Princess Elizabeth and Prince Dimitri which was an absolute honor. The prior week I was traveling in Boston and went to the Christmas service at the St. Sava Boston/Cambridge Parish, where Father Aleksandar invited me over to his family’s home for Christmas lunch. I also attend the Serbian Church of the Assumption of The Blessed Virgin Mary in Fair Oaks when I am home in Sacramento, California. I have also visited the St. Sava Parish in Jackson, CA which is 45 minutes outside of Sacramento and it is the oldest Serbian Church in North America. When I was living and working in Australia I also attended both Serbian Churches while I was based in Perth, Australia for 3 years. 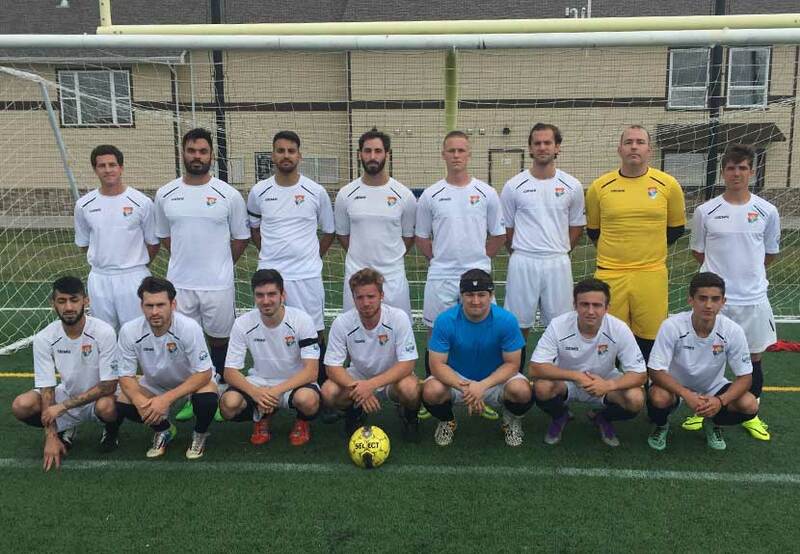 NWI Obilic Legends Soccer of St. Sava will be playing a home game Sunday, June 12, 2016 that will take place at the Crown Point Sports Complex on turf fields beginning at 11:00 a.m. Admission is free to the games and donations are welcome to help support the team. For more information about the team and upcoming home and away games, please contact Milan Marinkovich at milan146307@gmail.com. 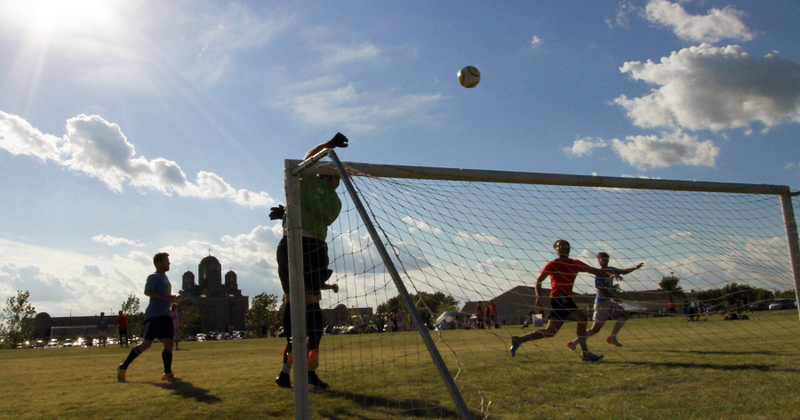 Learn more about NWI Obilic Legends Soccer at www.saintsava.net/soccer. With your help voting this past week in the Post-Tribune online poll Sasha Stefanovic has been named the Post-Tribune Community Choice Athlete of the Year for 2016. Sasha will be featured in Suburban Tribune printed editions next week. 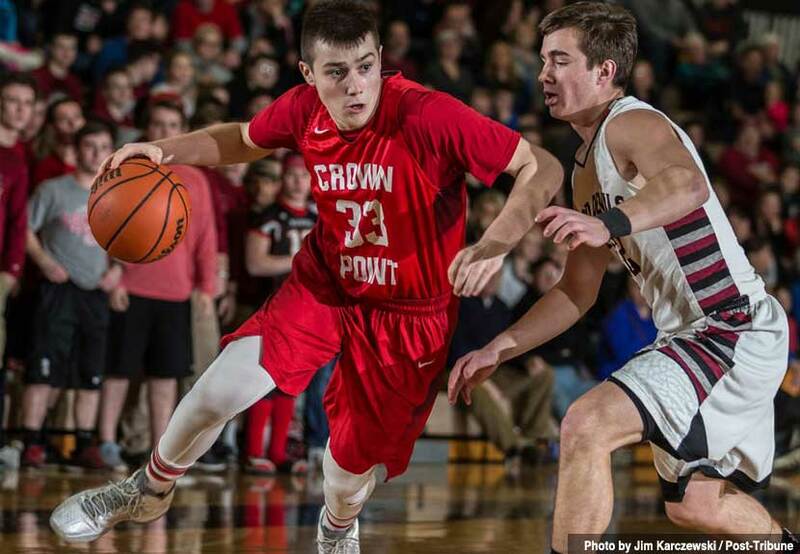 Sasha Stefanovic proudly wears number 33 for Crown Point. He was the April winner of the Post-Tribune’s Community Choice Athlete of the Month and is now among an elite group of region athletes that are in the running to be named the Post Tribune’s Community Choice Athlete of the Year – your vote can count! Simply click the link below to place your vote online on the Post-Tribune website. Voting is open through noon on May 26. You may vote once every 12 hours. 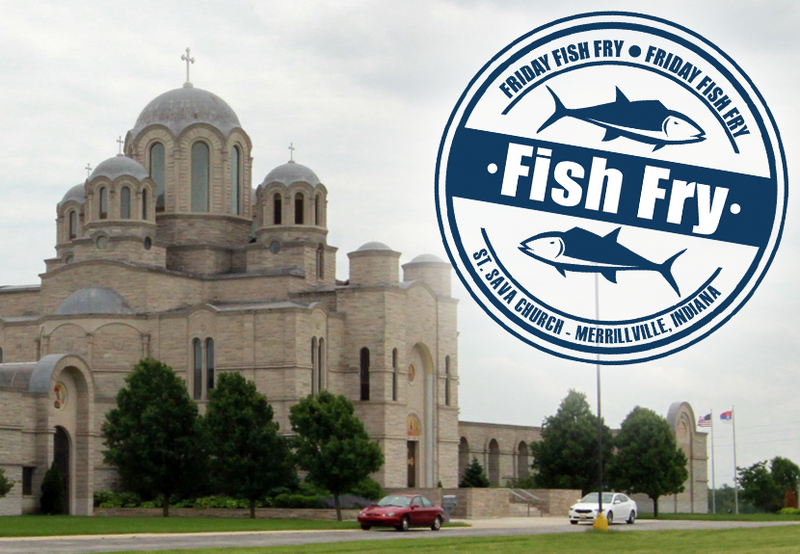 The legendary “Friday Fish Frys” continue at St. Sava Serbian Orthodox Church in Merrillville, Indiana throughout the Orthodox Lenten season. Everyone is welcome to join us for a delicious meal! The Friday Fish Frys will take place every Friday evening between March 18 and April 22 from 4:00 to 8:00 p.m. in the Pavilion at St. Sava Church 9191 Mississippi Street, Merrillville, Indiana. Fish fry choices this week include Ocean Perch, Cod, Butterfly Shrimp 6 piece, or Bakalar served with bean soup, coleslaw, French Fries, and Serbian style green beans. Salad bar option also available. Beverages also available for purchase. 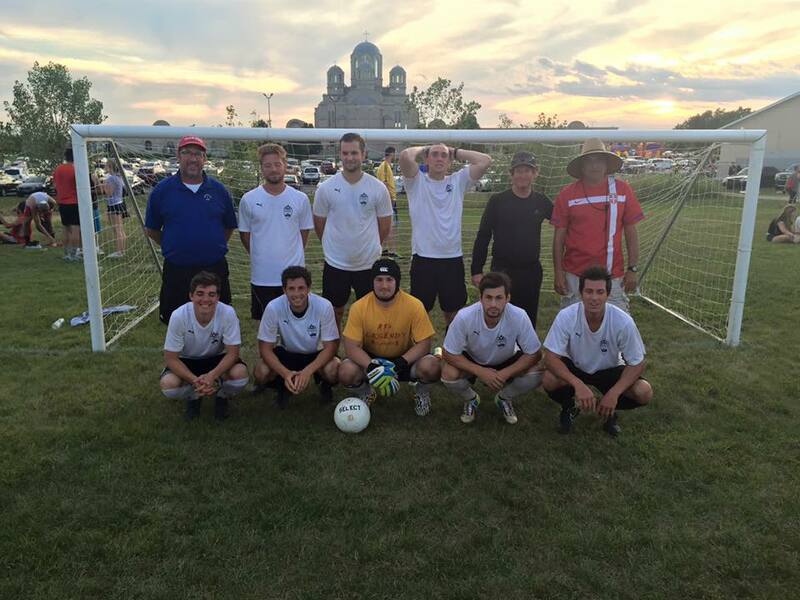 This week’s Fish Fry Sponsor is the NWI Obilic Legends Soccer Team of St. Sava Church. Learn more about the soccer team atwww.saintsava.net/soccer on our website. Friday Fish Frys will take place throughout the Orthodox Lenten season. These dinners are open to the general public and with Serbian Orthodox Easter taking place place May 1 this year, just over a month after Easter is celebrated March 27 on the Western Calendar, it gives everyone in Northwest Indiana a few extra weeks of delicious Fish Frys! Volunteers are needed to help in the kitchens, serving, and cleaning up. Salad bar and dessert items from members are also appreciated. Please call the church office at 219-736-9191 to volunteer. This weekend, Saturday February 6 and Sunday February 7 marks exactly six months away from the historic annual festival at St. Sava Serbian Orthodox Church in Merrillville, Indiana – Serb Fest 2016 will take place August 5, 6, and 7. This means it has probably been about 6 months since some have had the opportunity to dance the kolo or fill-up on cevaps and krofne. Fortunately this weekend you can get all this at St. Sava in Merrillville, Indiana! 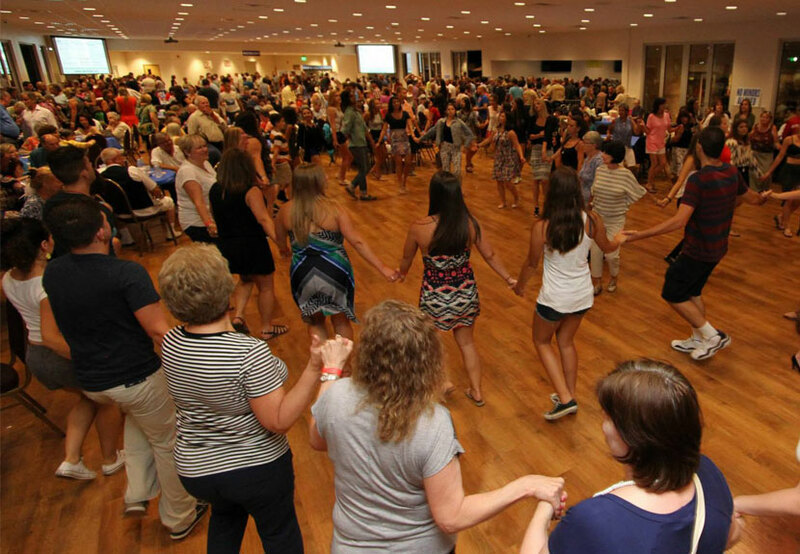 While there isn’t necessarily an official “Halfway to Serb Fest 2016” party, we do have two very special events taking place in our new Pavilion at St. Sava that will be carrying the festival spirit where you can get ready for Serb Fest 2016. Join us Saturday evening, February 6 at the St. Sava Pavilion beginning at 6 p.m. for a Mardi Gras party – A Serbian Zabava with a Cajun Flare. It’s a family-friendly event with great music, great food, and lots of kolo dancing under a special light show by DJ Vinko! We’ll be featuring Cajun style food, a special menu for kids, famous krofne, and palacinke. Children 8th grade and under get in for free. Then, join us Sunday, February 7 at the St. Sava Pavilion beginning at 1 p.m. where the St. Sava Obilic Legends Soccer Team is hosting a party to watch the NFL Football Championship Game. There is no charge at the door. We’ll have lots of good foods – cevaps, chicken, and all sorts of pastries throughout the afternoon and during the game. You can also learn about the exciting season ahead for our 2016 soccer players and enjoy watching some American Football along the way. It’s been a long six months since our last Serb Fest where you had a chance like this to enjoy a weekend of fellowship, culture, food, and music all in one place. In the coming weeks we will be detailing our Serb Fest 2016 at www.serbfest.org but for now you can visit that link to get a glimpse of the excitement from last year. All these events are open to everyone in the community throughout Northwest Indiana and Chicagoland including parishioners of St. Sava Church, neighboring Serbian and other churches, and the general public. Learn more about upcoming events at St. Sava in Merrillville, Indiana by visiting our website at www.saintsava.net/calendar to see our online calendar. The Obilic Legends Soccer Team at St. Sava Church in Merrillville, Indiana is proud to announce they will be playing the 2106 season as part of the Chicagoland Premier Soccer League. The Premier Soccer League (PSL), is a non-for profit organization and a member of the USSF, and USASA via the Illinois State Soccer Association (ISSA). The PSL plays according to FIFA rules and play 11 v 11 in 45 minute halves. The regular season is followed by a tournament for each division.The PSL consists of four age groups: Open Men, Over 30, Over 40 and Over 48. These age groups are divided into divisions according to skill level. 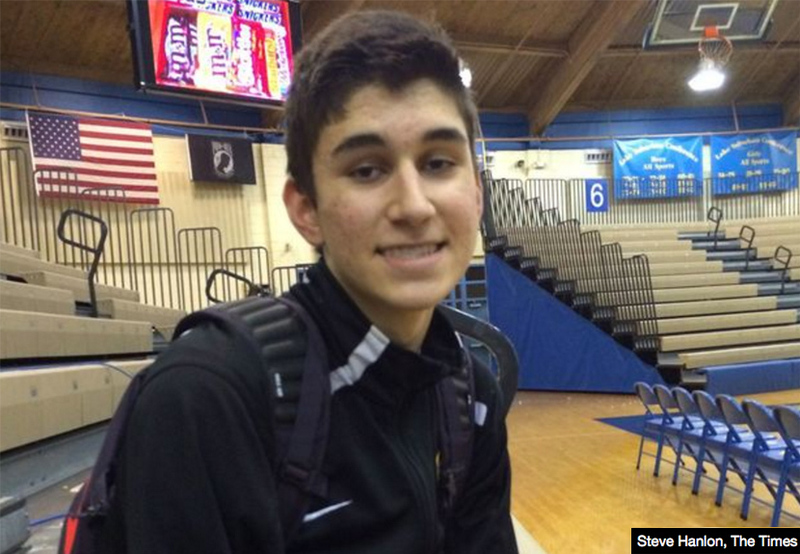 Hobart High School junior boys basketball center Aleks Novakovich, son of Zeljko and Snezana Novakovich, was recently featured in a The Times newspaper sports section basketball profile story. Novoakovich has also played on teams in basketball tournaments, such as the 76th Annual SNF Basketball Tournament in 2015, representing St. Sava Serbian Orthodox Church of Merrillville, Indiana. Read the beginning of the story below or click here to read the entire article at The Times website. While most of America woke up late Friday and said “Happy New Year,” there are others who said something else. Hobart junior boys basketball center Aleks Novakovich said that, along with “Srećna Nova godina,” which is the same greeting in his native Serbian tongue. The Region has a long history of great Serbian high school basketball players hanging nets all over the 2-1-9. Novakovich is not at the top of the list right now. But don’t blink, because the 6-foot-8 center is moving up the name tree. Vlade Divac, Predrag Stojaković and Vladimir Radmanović are some of the best of the best from the Eastern European hoops hotbed. “Basketball is very big in our culture,” said Novakovich, who was born in the United States. His parents — Zeljko and Snezana Novakovich — lived in Croatia. But the war-torn nation of the 1990s had them looking for freedom and peace. So in 1996 the family moved here, like thousands before them. Region basketball’s history book would be missing a large chapter if not for this Nike migration. Zeljko said Aleks has grown almost a foot in a year and a half. Hobart coach Mike Black has seen an even bigger growth on the court. All of Novakovich’s numbers are up. He’s averaging 9 points, 6.5 rebounds and 2 assists a game. The 2nd Annual Obilic Soccer Serb Fest Weekend Tournament Champion was won by team Obilic beating Uro Elite 2:1 in the finals match. Tournament organizers express great appreciation to all the teams, fans, and the referees participating in the this special tournament. Tournament organizers also send special thanks to Goran Sipka and Dave Callaway. St. Sava Church also expresses appreciation for everyone participating in the tournament and helping to make St. Sava Serb Fest successful.